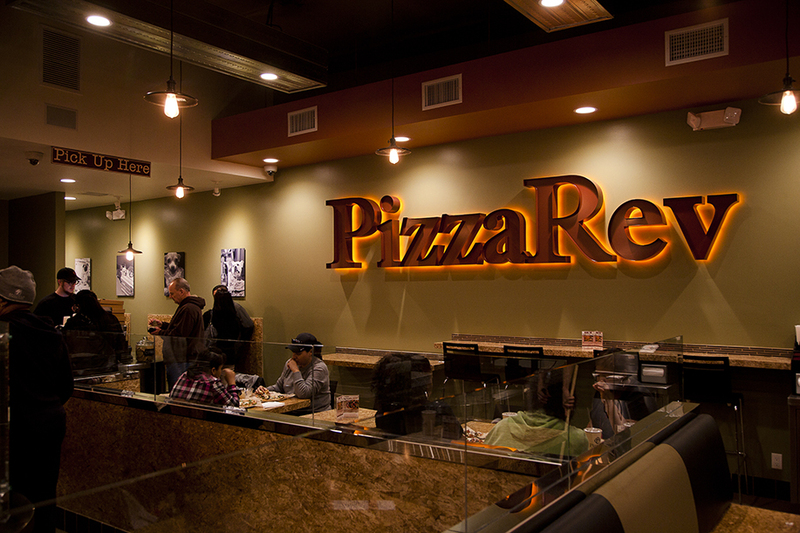 Created in 2012 in Los Angeles, CA PizzaRev specializes in thin and crispy personal-sized artisanal pizza that you build yourself choosing all your favorites from our homemade dough options, all-natural sauces, premium Italian cheeses and over 30 topping options — all for one flat price! This entry was posted on Tuesday, July 22nd, 2014 at 2:09 pm	and is filed under . You can follow any responses to this entry through the RSS 2.0 feed. Both comments and pings are currently closed.